Everyone knows it is important to save for retirement in order to build a nest egg and enjoy the “golden years.” So why is it that state and local governments many times act irresponsibly when it comes to saving for the future of public employees? Government pensions are the way in which state and local public employees like teachers, police officers and firefighters receive retirement benefits. Typically both the employee and the government set aside money each year to be invested. The investments will hopefully grow over time, and both the annual contributions and the investment growth is understood to form the pool of money public employees will be able to use once they reach retirement. That’s the theory. Unfortunately, according to Unaccountable and Unaffordable 2016, a new, state-by state analysis from the American Legislative Exchange Council (ALEC), government pensions are being massively underfunded across the states, and now hardworking taxpayers are on the hook. What is the price tag? Across the 50 states, unfunded pension obligations now total $ 5.6 trillion. Now, that number sounds large at a national scale, but what does it mean for the average American? To be exact, this state pension debt equates to an average price tag of $ 17,427 for every man, woman and child in the United States. There are numerous reasons why pension liabilities are so large. For one, the stock market is not growing as quickly as many assumed it would, exiting the recent economic downturn. Therefore, investments for many pension funds are not meeting expectations. The average pension fund assumes they will earn a whopping 7.37 percent on their investments over the long term. These overly-optimistic assumptions fly in the face of what many financial experts are calling a “new normal” of lower than expected investment earnings in the future. Another inconvenient truth is that many state governments have failed to deposit the annually required contributions into pension funds every year. The urge to spend more money on other government projects, however well intentioned, has diverted much-needed contributions away from pensions and has contributed significantly to unfunded liabilities. 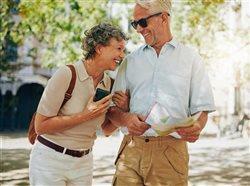 When pensions are unstable, millions of Americans are faced with an uncertain retirement. However, this is not only a problem for government workers – it affects all Americans. Without a sustainable solution to underfunded pensions, higher taxes will be the reality for all hardworking taxpayers. What’s more, an increasing percentage of state budgets are being drained to pay pension benefits, with less money available for important functions like funding public schools and fixing roads. One especially sobering story comes from Illinois, where since 2009, this trend is so extreme that 89 cents out of every new dollar of education spending has gone to teacher pensions, leaving just 11 cents for salaries, textbooks, building costs and the various in-classroom costs of education. And by 2025, Illinois will spend more on teacher-retirement costs than it will spend on the classroom. Pension funding is not a Republican vs. Democrat issue. It’s a retirement issue that affects all Americans. Unfunded pension liabilities will be harmful to the future of workers, retirees and taxpayers alike, if forward-thinking policymakers do not tackle pension reform in a timely fashion. To find out more about how prepared your state is and to see the full report, Unaccountable and Unaffordable 2016, is available at Alec.org/PensionDebt2016.